Southern Pride is a leading manufacturer of wood burning BBQ pits and smokers. 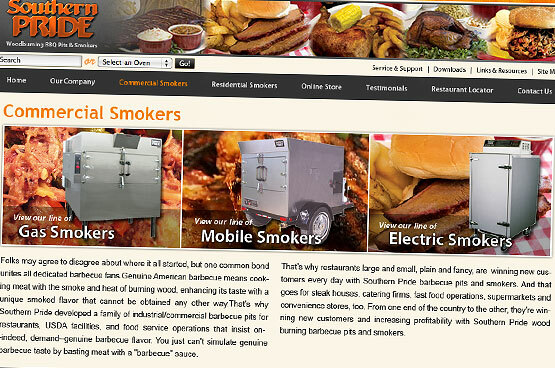 Their ovens are featured in award winning BBQ restaurants throughout the country. 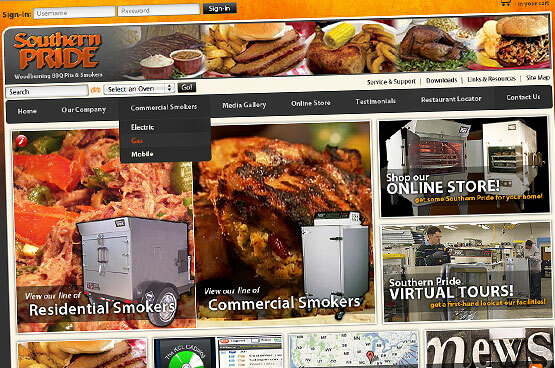 We have been working with Southern Pride on their web design, SEO, and online marketing strategy for over a decade. The website features a custom e-commerce solution that is integrated with their back-office systems. The primary focus of the website was to support their network of distributors throughout the country. The website features a distributor locator for restaurant owners to locate a distributor in their area. If the customer requests more information, the system will automatically generate an e-mail to the appropriate distributor as a sales lead. The secondary focus of the website was centered on post-sale service and support. 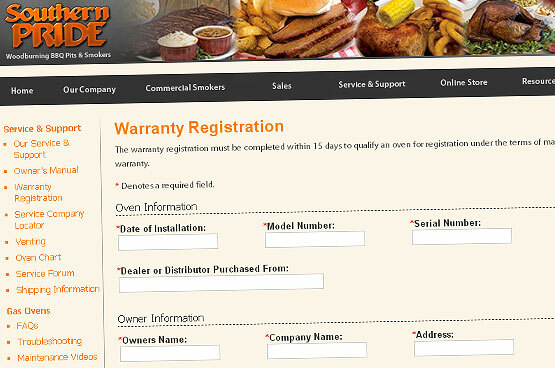 Customers who purchase a Southern Pride oven can register their warranty information online to receive additional support for installation, maintenance, parts, and operation.